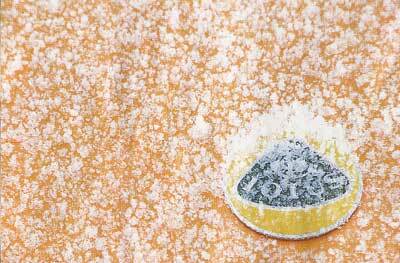 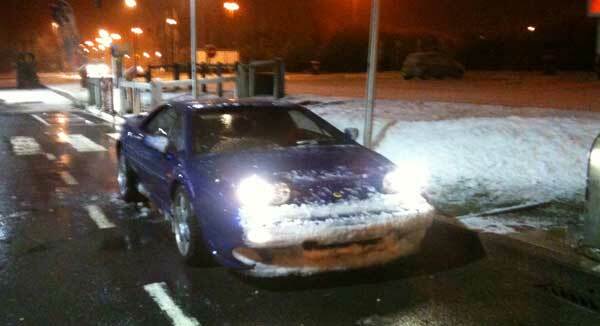 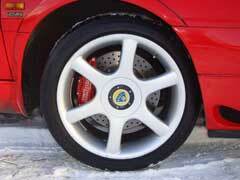 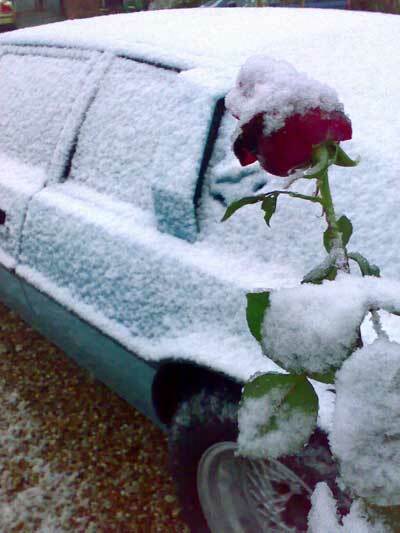 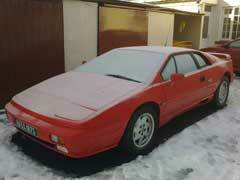 Below are a collection of pictures of Esprit that have been caught out in the snow. 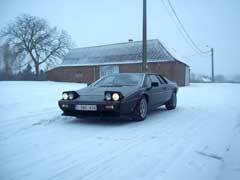 Esprit, like most other supercars aren't at there best in extreme weather. 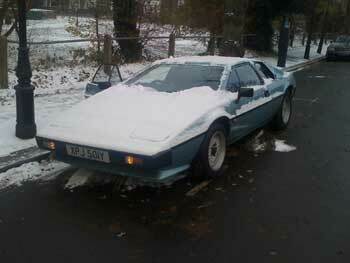 They really shouldn't be left out in the cold! 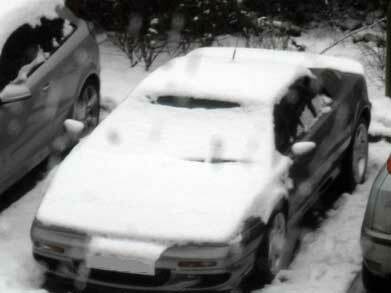 Still we've managed to leave ours out. 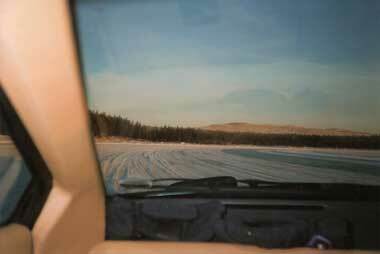 More than once! 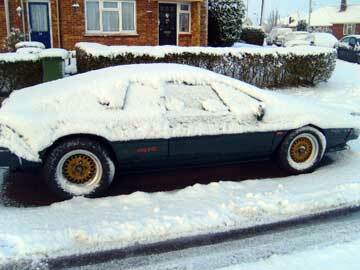 Kevin left his 1987 Esprit HC in racing green out in the elements! 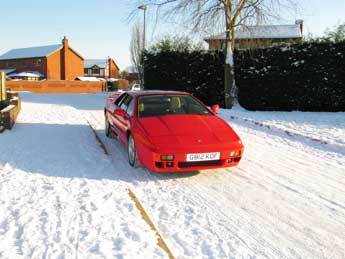 Even driving it, brave man. 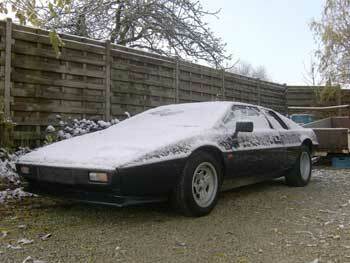 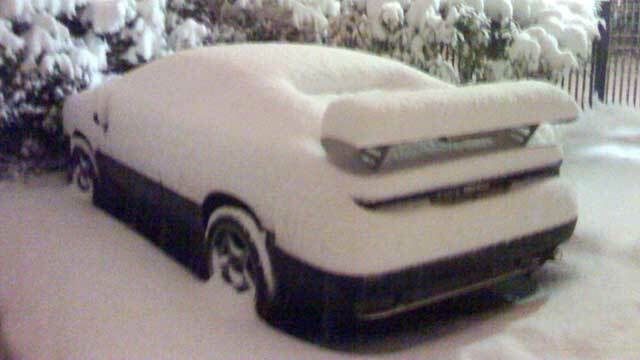 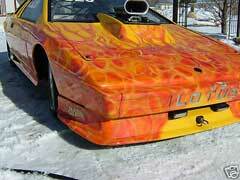 Not really an Esprit, but it looks a little bit like it was one and it's on some snow! 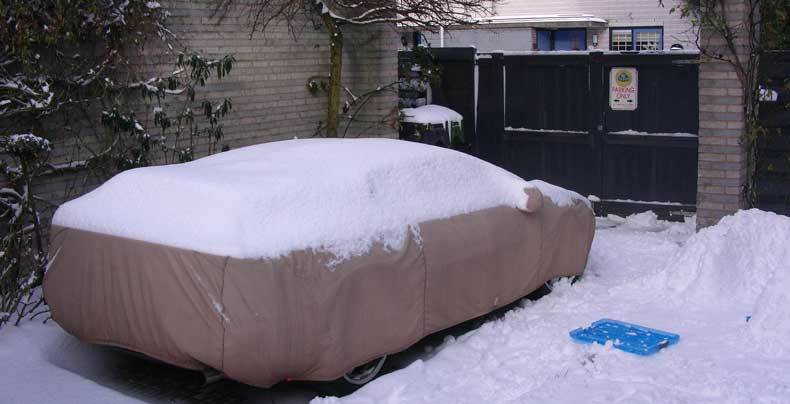 So we'll give it some space here! 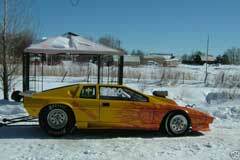 It is in fact a 1984 Lotus Esprit Drag Car which is available on Ebay for something over $8,500 (reserve currently not met, 6th Feb 09). 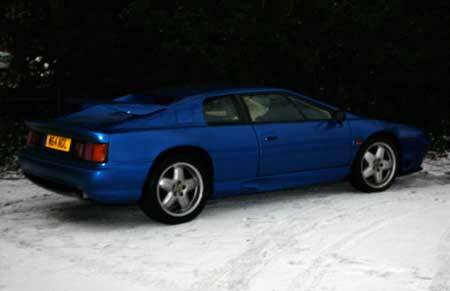 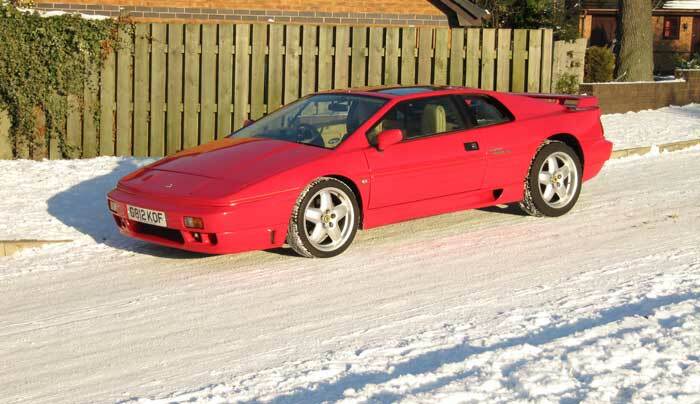 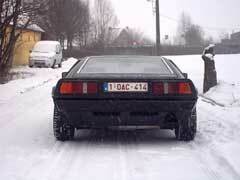 Here's a collection of other Esprit in the Snow, including a Sport 350, which collects snow very neatly on it's wing. 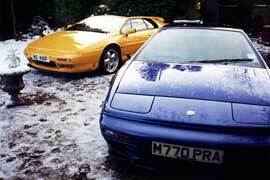 Esprit Development Cars in the Snow. 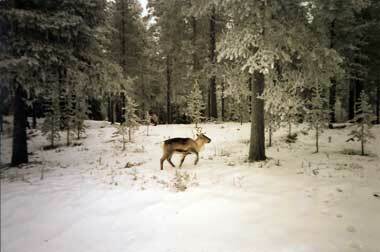 The Testing was done over the Winter Months of 1995 / 1996 at the Kelsey Hayes development sites in Arvidsjaur, Sweden. 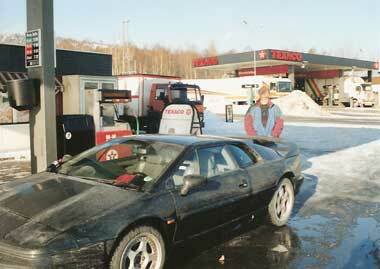 The Black Esprit in the picture refuelling in Sweden was the very first Esprit fitted with Kelsey Hayes ABS on the way to Arvidsjaur in Jan 1995. 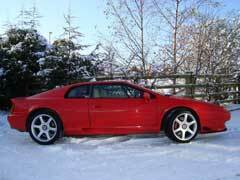 This Car was a 4 Cylinder S4 with an S4s engine ballasted to V8 specifications to get the testing started. 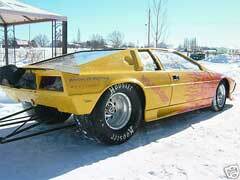 It is fitted with Snow Tyres. 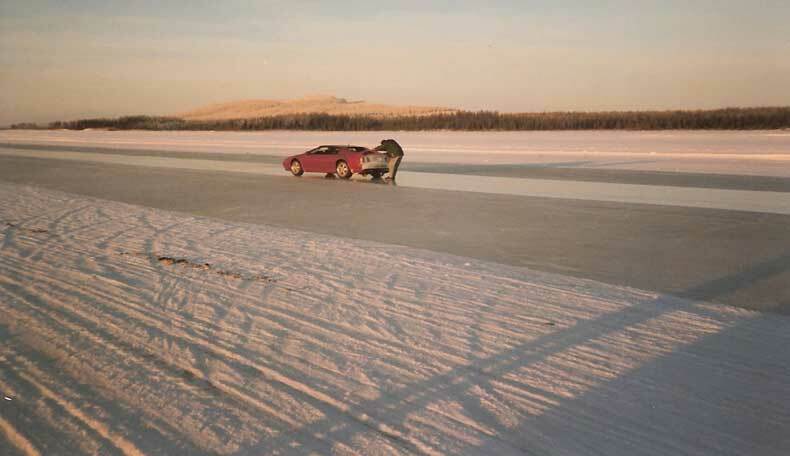 The Car was driven from Hethel to Arvidsjaur by Brian Angus and Peter Garratt. 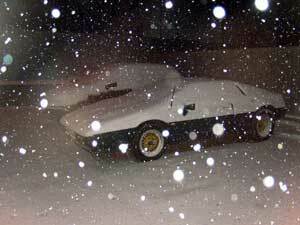 "There was snow for most of the journey. 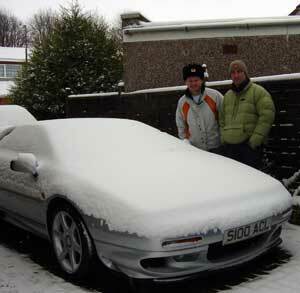 We drove to Dover and crossed to Calais. 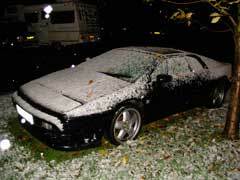 We then drove through France, Belgium and Germany to the Port of Kiel where we boarded the overnight ferry to Gothenburg. 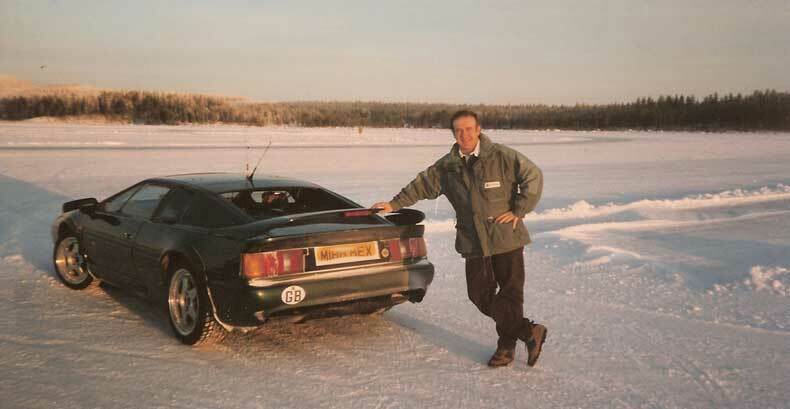 There was another overnight stop at Sundsvall on the E4 before arriving at Arvidsjaur in late afternoon where temperature was about minus 10 Deg C. The car was instrumented overnight by Kelsey Hayes technicians and testing started the next morning." 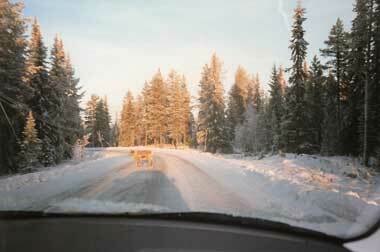 All the way through Sweden the roads were covered in snow . 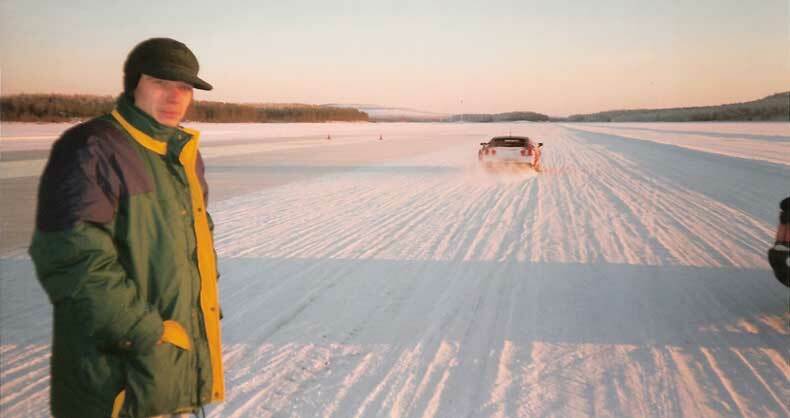 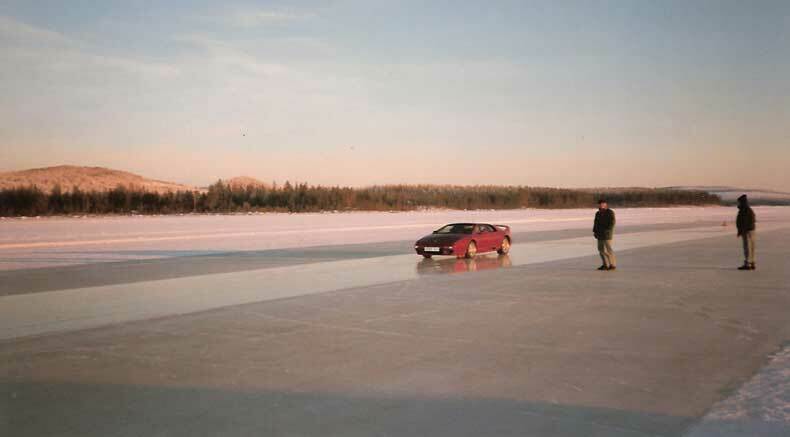 The other pictures were taken in the Winter of 1995 / 1996 when a couple of V8 development cars were testing on a frozen lake a few miles West of Arvidsjaur. 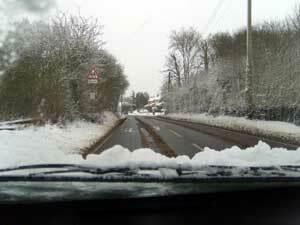 The pictures below are what you sometimes encounter on the way to the test site. 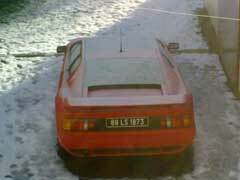 One of the V8s leaving Arvidsjaur by Truck for the journey to Nardo (Italy) for High Speed ABS work. 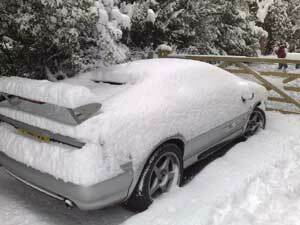 2010 the snow hits the UK in a big way! 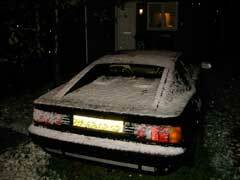 Some Snow it's Belgium as the UK Freezes! 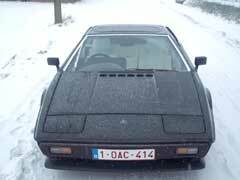 I am Geert from Belgium. 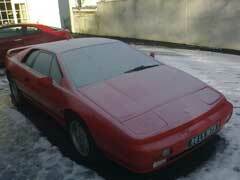 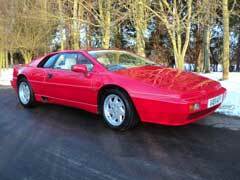 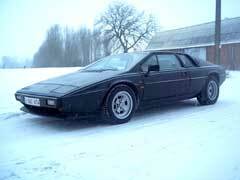 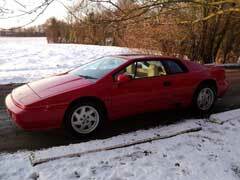 This is my Lotus Esprit S2.2 1980. 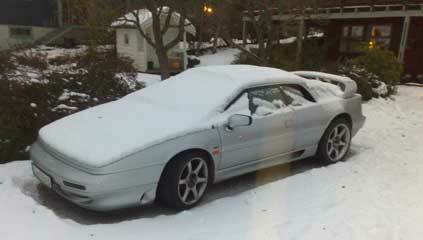 I just bought it yesterday. 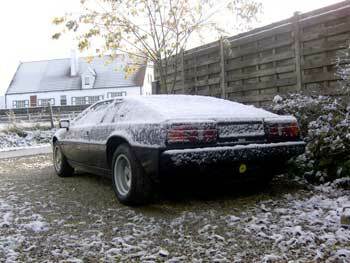 A picture of its first day at my home in the snow. 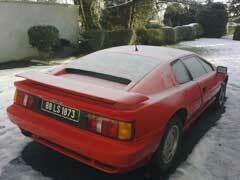 Still have to give it a place in the garage next to my 1970 Opel GT. 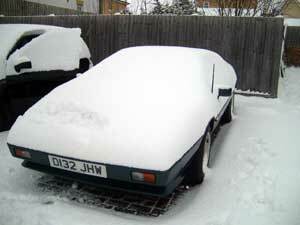 Well my BMW is broken so I’ve been having to use the Lotus… some hefty motorway blasts in the snow as well as plenty of short tootling journeys… car started fine. 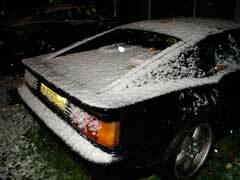 Hardest bit was scraping the ice of the inside of the windscreen! 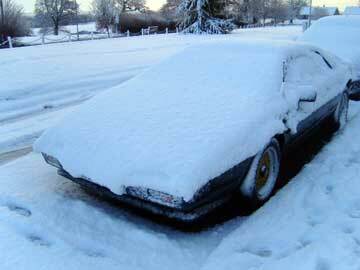 Car ran fine but it certainly doesn’t get very warm in there! 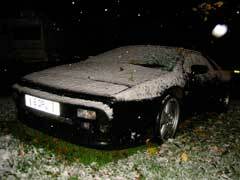 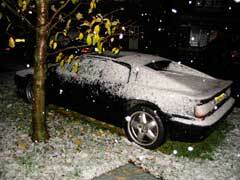 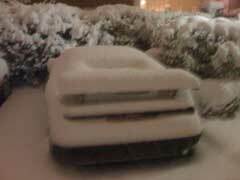 A few pictures to add to your Snow Esprits page. 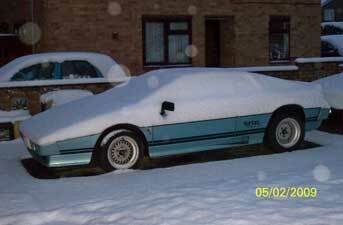 My other Esprit 1988 X180 in the snow. 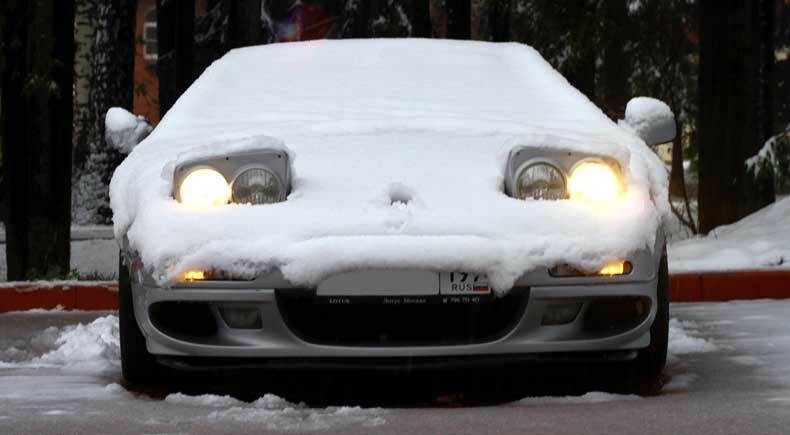 The poor little thing. 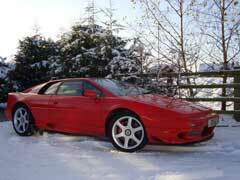 1999 Esprit V8 in the snow. 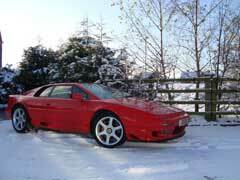 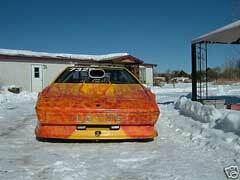 1997 Esprit V8 in the snow this year. 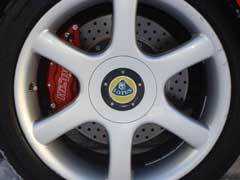 HiSpec Calipers on show. 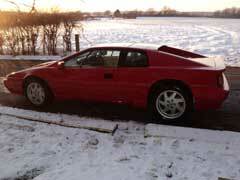 From www.esprit4sale.co.uk, Feb 2012. 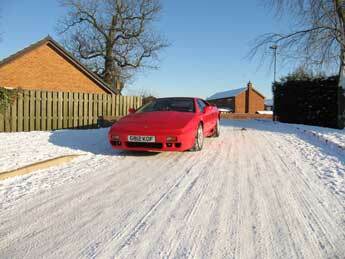 Owner takes some shots with snow on the fields. 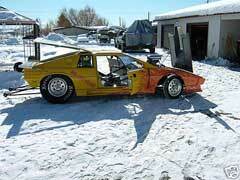 Looks like the Esprit escaped a coating. 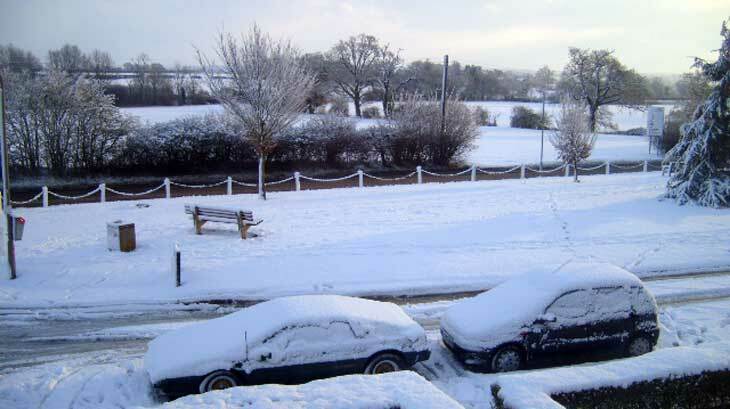 A few snaps from around the UK at the snow it's hard in mid-january. 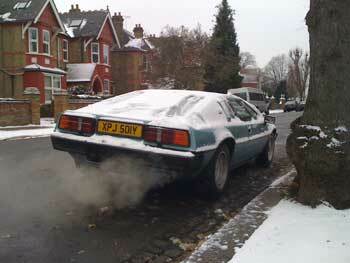 Henry Weston-Davies' 1981 Esprit S3 in Putney, London this morning (21st Jan 201). 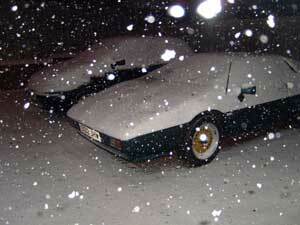 This car was originally gold, but some previous owner painted it imperial green. 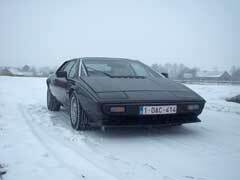 This is the colour of the famous Lotus Carltons. 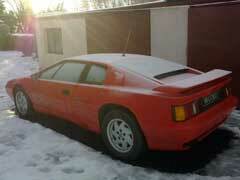 It's my V8 in Moscow, Russia. 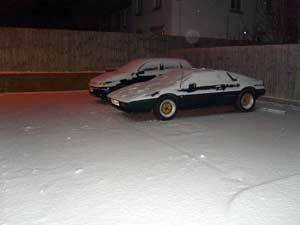 One day of Moscow winter. 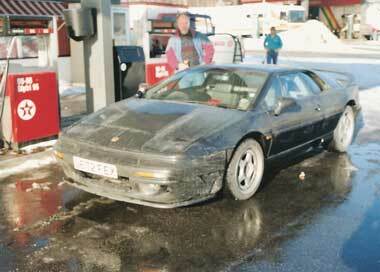 Believe it or not, this is an Esprit SE, obviously modified from arild caspersen in Norway. 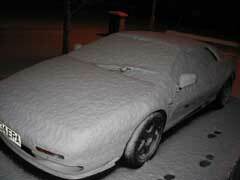 If you have any picture to add to this page. 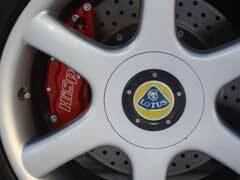 Feel free to e-mail at admin@lotusespritworld.com.